1If you’re connecting via serial cable, turn off your computer and camera. 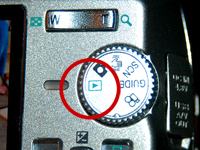 If you connect the camera to the computer by serial cable while either machine is powered up, you risk damaging the camera. If you’re connecting via USB cable, you probably don’t have to shut down your computer before hooking up the camera. 2Connect the camera to your computer. 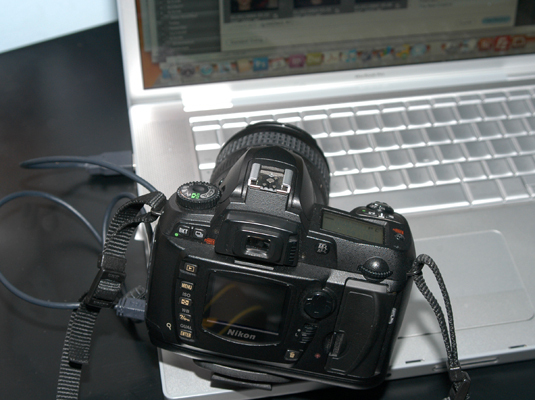 Plug one end of the connection cable into your camera and the other into your computer, as this figure illustrates with a USB connection. 3Turn the computer and camera back on, if you turned them off before connecting. Your computer may automatically register that your camera is connected. 4Set the camera to the appropriate mode for image transfer. 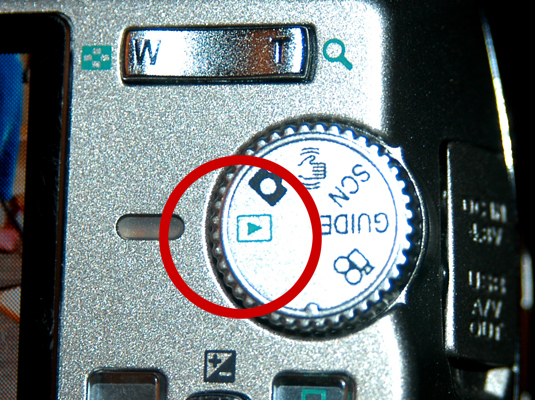 On some cameras, like the one in this figure, you put the camera in playback mode; other cameras have a PC setting. After the software launches, you may need to specify the folder where you want to house the pictures. Your software should guide you through the download process — and if it doesn’t, check out the manuals that came with your camera.